As made plain in ComicsAlliance's Year-End Infographic tracking comic book projects funded by the Kickstarter platform, Ashes was among 2011's most successful crowd-supported comics. Written by Alex de Campi and illustrated by Jimmy Broxton, the proposed 256-page graphic novel was funded to the tune of $32,455 in donations, money that was to go towards production of the book and compensation for Brixton's work on the project, as well as various backer rewards. Unfortunately, the creators have parted ways over what de Campi has described as "irreconcilable creative differences" and what Broxton (real name James Hodgkins) has called a "firing." De Campi said that Broxton will be compensated for the work he's completed so far and that she plans to find a new artist for Ashes. She also promises that if a replacement for Broxton isn't hired by Valentine's Day (February 14), all of the funds raised will be returned. Additionally, unhappy backers may immediately request refunds, which de Campi has already begun issuing. While de Campi has taken admirable steps to do right by her backers, the Ashes news does shine yet another light on the accountability problem inherent in the Kickstarter apparatus. A sequel to de Campi's Eisner-nominated Smoke, Ashes is a slightly dystopian, deeply cynical and darkly comical poli-spy saga starring a Cain, a soldier-turned-assassin, and Katie, a plucky journalist with a penchant for getting herself into trouble, as they navigated danger, conspiracy and political intrigue in a dystopian world with super spies, oil billionaires and terrorists obsessed with their own good looks. Unable to find a publisher for the book, de Campi turned to the Kickstarter fundraising platform to raise the money necessary to produce the hardcover graphic novel. Ashes was promoted with endorsements from Mark Waid, Dave Gibbons, Colleen Doran, Kieron Gillen, John Cassaday and Howard Chaykin, and boasted more than 20 pages of artwork by Jimmy Broxton to help sell potential backers on the validity of the project. We covered Ashes last year and found de Campi's Kickstarter project to be very well presented, with a simple publishing plan and the finances laid bare -- qualities not shared by every comics Kickstarter (indeed, de Campi herself was highly critical of the financial aspects of Kickstarter success Womanthology). Hi all, I'm sorry this is not a joke, Jimmy (you all know who he really is) has been fired, and will be replaced on the book, naturally I'm not at all happy about this, but I have no control. I have posted this here on FB to start the process of presenting my (Jimmy's) side of the story. I sincerely hope it doesn't get too ugly, but I have to try and protect his reputation. I'm incredibly sorry that this has happened, and feel strongly that a lot of people who have shown tremendous support (to say nothing of actually giving money to pre order the book) are being let down. I acted in good faith, you all acted in good faith, this is a mess, make no mistake. Jimmy worked for 6 months off and on (unpaid) preparing the project, and he has not, and will now not receive a penny of the $32,000 raised a s part of the Kickstarter campaign. I hope to be able to offer more information soon, I'm waiting to hear from Kickstarter themselves, I only found out about this a few hours ago. Please feel free to contact me privately, I can say more off the record. Thanks all. Hey, Ashkickers. Alex here. I'm sending this update out because I want you to find out from me rather than social networks and/or news sites. It's been a hellacious week. Jimmy and I have had an irreconcileable split over creative differences, with the result that yesterday evening I asked him to leave Ashes. I have no desire to hang out dirty laundry in public so I hope you don't mind if I leave the explanation at that. Where does that leave you and me? Well, I'd appreciate if you can give me a couple weeks to look for a new artist. I have been struggling to get this book made for five years, and although this is a heartbreaking, devastating setback for me, it is not the end. If you only pledged for the book because of Jimmy, or if this announcement otherwise colours your desire for the book, please contact me to say so on [redacted] with your kickstarter backer name and I will refund your pledge immediately and in full. Likewise, once I find a new artist, if his or her work is not a style you like, you may also contact me and be immediately refunded for your pledge. Folks, I am so committed to making this book. I am so sorry for this drama, and I hope you will find it in your heart to bear with me for a little longer while I straighten this out. Please be aware that the money you have pledged is still YOUR money (none of it was ever going to me anyway, it was all for art and print/reward fulfilment) and I will be respectful of your wishes as to where it will go. Once again, please accept my apologies for this disruption in plans. I wish it did not have to be so. De Campi followed up with her promise to cancel the project and refund all the money should a new artist not be found by February 14, and to say that she has begun transferring the Kickstarter money back into the Amazon Payments system that facilitates Kickstarter's fundraising. She also provided instructions on how backers could contact her for a direct refund, if they wanted one. First, the promise. If no new artist is signed on one calendar month from today (which would be Valentine's day), the entire project will be cancelled and your funds will ALL be refunded, every last cent. Second, the refund process for those who want refunds at any point, for any reason: I have to do it through Amazon Payments, to make sure it gets back exactly, fees and all, to the person who sent it and that is recorded through the Kickstarter process. I've just tried to do two refunds and because I had already withdrawn the funds so I could transfer them to James, I have to re-transfer the funds back into Amazon Payments. I have initiated the transfer, but according to Amazon Payments this will take five days (WHY?!). I am so sorry for this delay. It is not me, it is Amazon Payments.I had wrongly assumed that like Paypal it would just hoover money out of the linked account upon request. I understand this will frustrate and anger some of you; once again, my email is [redacted] or please feel free to comment here or inbox me if you wish to express that anger and frustration. Amazon Payments is sure as heck frustrating me. I take the financial ramifications of this artistic change VERY SERIOUSLY; let me reiterate again that this is YOUR money and you can have it back whenever you want, as soon as this annoying, cumbersome Amazon Payments system gets moving. NB, for those requesting refunds, when requesting a refund please tell me what is your Amazon Payments name -- they do it by registered name, rather than email address or whatever. There is NO way to identify people by email address, mailing address, or anything else -- ONLY what you told Amazon Payments your name is.... which occasionally is just "sam" or "GM" or "Jordan". De Campi followed up with a third message addressing questions from backers, including the subject of compensation for Broxton's role in getting Ashes funded. Contrary to Broxton's Facebook claim, de Campi intends to pay him some amount for his work. She told ComicsAlliance via email, "I will also note that when I emailed Jimmy about compensation, I also offered him the chance to make a statement to the backers via the Kickstarter which I promised to reproduce verbatim with no comment from me. He declined." Hello everyone. The comic news sites have started to pick up on the change in plans for Ashes, and I wanted to make sure some of the things I said there got out to all of you too. So, here are some questions and answers. Feel free to ask more. 1. How much art has been done for Ashes? Well, only what you see here on the Kickstarter. In terms of finished (final inks, coloured & lettered art) pages, we have pages 1-4 (Chapter 1), pages 20-22 (Chapter 2), pages 54-55 (Chapter 2) and page 56 (Chapter 3). Pages 54-55 were pending revision; they were scripted very differently and though the current image is gorgeous I have a feeling it may not work as well when seen in the context of the full scene in which it exists. The other pages (5-19) are "sketch inks" -- basically pencils in ink that I lettered for the preview (that's why the lettering is a bit pants on those pages; I'm not a great letterer). The cover is an unfinished rough, and then there are 6-8 sketches we posted in updates that were pretty much done for the Kickstarter. So in terms of starting anew, very little of the book is actually drawn. 2. Will Jimmy be compensated for the art he has done? Absolutely. I don't know how much yet; I have to email him today about that. I've been firefighting on this and on another gig (only a 2-pager, luckily) where I needed a replacement artist at the last minute. Plus I just want to let the dust settle a bit. 3. Will any of Jimmy's art be included in the book? Again, I haven't spoken to Jimmy since Friday, but I don't think he would want that. Also, I'd like whoever comes in as the new artist to do 100% of the book, rather than having to work around those 10 or so finished pages. I feel that would be disruptive both for the artist and the reader. 4. Why isn't this a joint statement? Jimmy actually hasn't spoken to me since I asked him to leave Ashes. I asked if he wanted to do some sort of joint statement and he said no and started posting on Facebook pretty quickly. So I sent out the Kickstarter update so you all wouldn't hear secondhand. Jimmy has, by his choice, never been involved in any part of the Kickstarter other than sending me sketches so -- and I may be guilty of terrible naiveté here -- I didn't really think you'd expect to suddenly hear from him via Kickstarter. 5. Any leads on a new artist? I haven't even begun to look. A couple of you have sent me portfolio links; I would ask that you wait a week out of respect, and just to let everything calm down. 6. I hear there are a lot of embarrassing revelations and this is a big scandal! Sigh. It's true. I am a Skrull. Because Broxton indicated in his Facebook post that he didn't expect to be paid for his work, ComicsAlliance asked de Campi via email about what if any sort of contractual arrangement she had with the artist, and whether Broxton's work on Ashes was essentially work-for-hire. De Campi answered, "There was no contract between us. Once the book was finished, I was happy to split all further income/royalties with him but that would have required the work being done. The Kickstarter money was just free money for him, to support him while he worked. 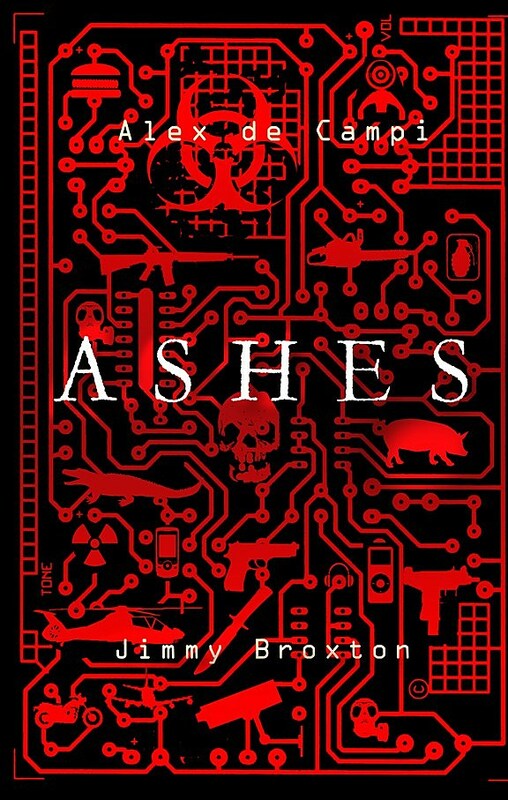 "Ashes is an interesting case in that the script is totally and completely done, and James has not had any input into it at all -- not a single word is his. It's not like a story we developed together.... in fact it's the sequel to a pre-existing book of mine. So it's not like we sat down and created the characters and story together and I'm all of a sudden, 'Hit the road, Jack.'" ComicsAlliance emails to Jimmy Broxton/James Hodgkins were not answered before publication. We'll update the story to reflect any further developments. The Ashes news illustrates an important point about Kickstarter that is often overlooked (although not by us, as you can see here, here and here) in the variously urgent and even jubilant process of supporting a cool independent creative project with strong ties to the community, and that point is accountability. We think most people would agree that de Campi has devised a decent solution to this unfortunate problem, but the truth is that she was under no tangible obligation to do so. Setting aside for the sake of argument any complicated contract issues, had Ashes been set up at a major publisher, the dismissal of one of its creators during development would not have financially impacted anybody outside that very insular process (except possibly retailers whose orders would simply have been cancelled). The reality of Kickstarter is much more complicated because projects are paid for by the audience before they are even made, and no mechanism exists to enforce a refund of donations nor compensation of the parties involved should the project change substantially or even fail to materialize altogether. As laid out in Kickstarter's Frequently Asked Questions, the entire endeavor is predicated upon trust, and there is no built-in recourse for backers who feel their trust has been broken. Every creator is responsible for fulfilling the promises of their project. Because projects are usually funded by the friends, fans, and communities around its creator, there are powerful social forces that keep creators accountable. Creators are also encouraged to post regular updates about the progress of their project post-funding - communication goes a long way. This leaves open a considerably large window for a variety of complications, which is why CA's coverage of Kickstarter projects tends to be so in-depth with respect to money and compensation. We discussed this dimension with Matt Pizzolo, organizer of the Occupy Comics anthology that raised $28,640 on Kickstarter. 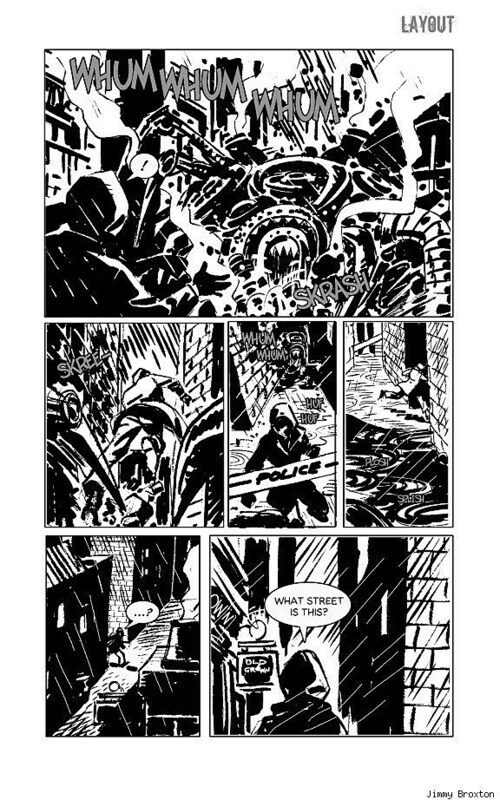 Unlike Ashes, which had already been written and provided 20+ pages or other pieces of artwork as proof-of-concept, the Occupy Comics project was presented as little more than an idea and a roster of creators who were to be paid with Kickstarter funds even before they turned in any work. ComicsAlliance will soon be following up with the organizers of Womanthology, Occupy Comics and other heavily funded Kickstarter comics to learn where they stand with respect to creative rosters, refunds and the other issues discussed above.